What an awesome way it is to end Thursday, a day before Friday which I consider as part of my weekends. Friday is a day of bliss—it bids farewell to a week of work and beckons a couple of well-deserved rest. But before chanting a made-up TGIF tune, let’s go back to yesterday. It is one of the better ways to end one’s day—that is having a parcel right at your doorstep. Twice I already received parcels from AwesomeBooks. I can get used to it. No complain. I’m satisfied even more for a fast shipment (two weeks). 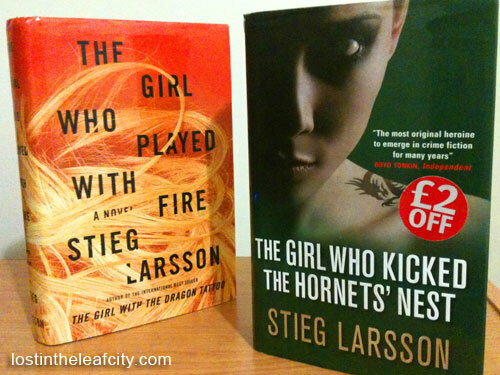 Officially my Stieg Larrson’s trilogy is complete. Right inside the heavy parcel are the hardcover books: The Girl Who Played With Fire and The Girl Who Kicked The Hornets’ Nest. The Hardcover books are still in good condition considering that the books, bought together, cost less than ten loonies. I’m definitely the girl who found a great book online deal. And I’m bound to share how I did it so everybody can enjoy reading without much spending and skipping the shipment fee all together. 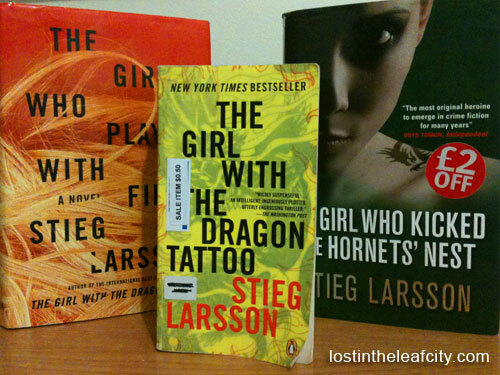 You might wonder how or where I bought the first book of the Stieg Larsson’s trilogy: The Girl With The Dragon Tattoo. There’s no other place than in one of your friendly Calgary Public Libraries on which you can buy cheap books in Calgary for less than a loonie. I better read faster and hinder myself in scouring the net for more deals, for now. I’m almost than with Frank McCourt yet I keep on picking up Quiet by Susan Cain. Now that’s an awesome dilemma! May everyone have a weekend of bliss curled up with a trilogy or whatever book you fancy.